I WROTE recently about clinging on to regional accents. A reader says he suffers from accent-absorption, instantly adopting the tones of wherever he happens to be. In the US he slipped effortlessly into the speech of the Deep South, even though he hails from the not-so-deep south of Surrey. Why, fiddle-dee-dee. I ADMIT to being a fellow-sufferer. In my misspent youth working on building sites with the Irish lads, after a couple of days I sounded like Mr O'Reilly from Fawlty Towers. INCIDENTALLY, while in these enlightened times O'Reilly may seem a racial stereotype, the actor David Kelly who died in 2012 was eternally thankful to the 1975 character. As he put it: "I've been 52 to 53 years on stage and yet Fawlty Towers, those full nine minutes, make me recognised anywhere in the world." LAST week it was "a special place in hell." Who knows what snarling barbs we might hear this week as Brexit gets nastier? TO understand why Donald Tusk is so angry, consider the tortured history of his native Poland, ripped apart by the Nazis then forced into the Communist bloc. 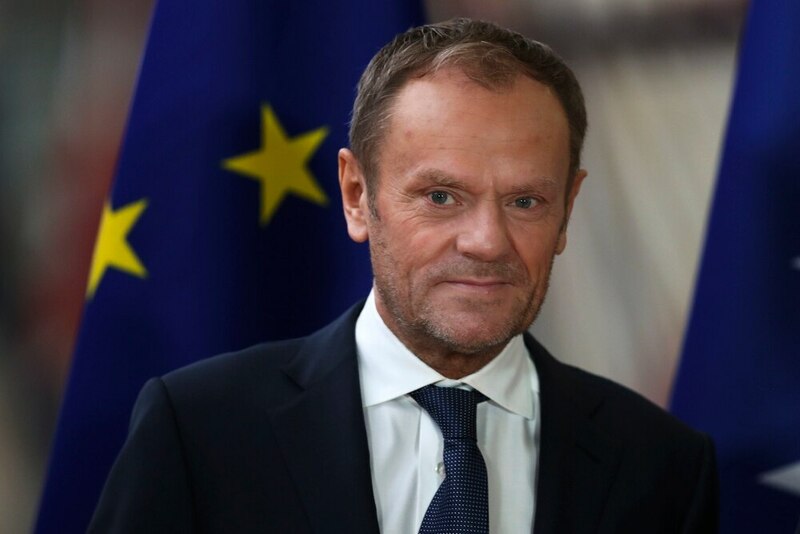 For Tusk, the EU represents liberation and a new beginning for his nation. For folk like him the EU is not just about trade or even politics. It is almost a religion, saving a continent from re-running the horrors of its past. In that famous 1981 episode of Yes, Prime Minister, Sir Humphrey (Nigel Hawthorne ) tells Jim Hacker (Paul Eddington) how the Common Market came to be founded. He says the Germans joined "to cleanse themselves of genocide and apply for readmission to the human race." There is some truth in this. What makes Germans such good Europeans today is the knowledge that they were such bad Europeans in the past. BRITAIN is a rarity in the EU, having been spared invasion, occupation and collaboration in the 20th century. This creates a gulf between us and some of the other 27 states. We don't understand why they take the Union so damn seriously. They can't grasp why we don't. FOR many in Europe, politicians and citizens alike, Britain leaving the EU is like an apostate walking away from the true faith – not merely bewildering but actually wicked. This explains Tusk's bitter words, "a special place in hell," and I bet we ain't heard nothing yet. TWO unconnected reports reveal what fools we mortals be. Firstly, house prices are said to be slipping. Secondly, a UN body announces "a clear sign of long-term climate change." We want the price of our own houses to rise, to increase our assets, but we'd also like house prices to fall, to help the kids buy a home. And while we may worry about global warming, we'd really love another scorching summer like last year's. In short, we'd like the climate cooler but the weather warmer.